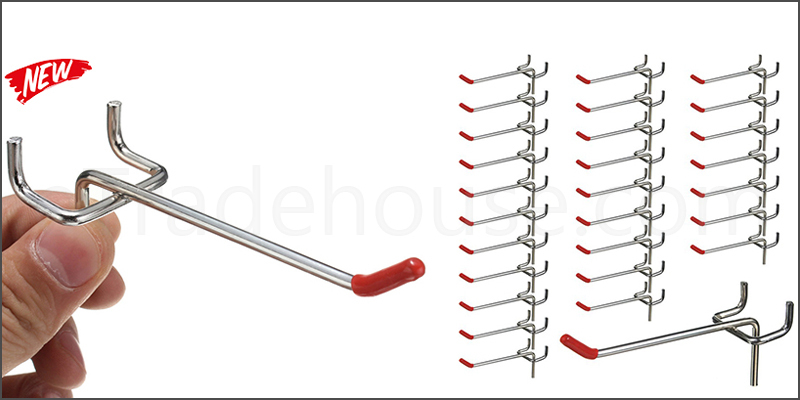 25x Single Pegboard Hooks 50mm Board Slat Wall Retail Display Shop Peg. Pack of 25 peg board hooks. Allow anything to be displayed on a wooden or metal pegboard. End cap will be either all red. Ideal for shop fitting retail displays, peg boards & slat walling and so on. Arm diameter: 3.2mm/0.13"For displaying hanging items. 25x Single 50mm pegboard hooks.